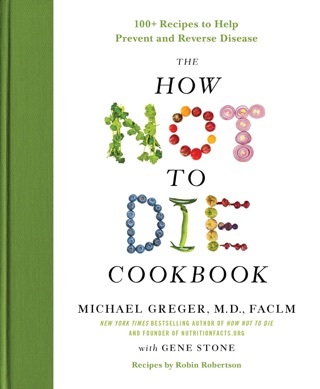 From the physician behind the wildly popular NutritionFacts website, How Not to Die reveals the groundbreaking scientific evidence behind the only diet that can prevent and reverse many of the causes of disease-related death. The vast majority of premature deaths can be prevented through simple changes in diet and lifestyle. 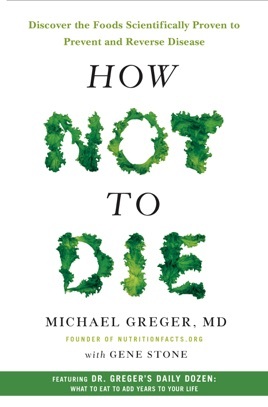 In How Not to Die, Dr. Michael Greger, the internationally-renowned nutrition expert, physician, and founder of NutritionFacts.org, examines the fifteen top causes of premature death in America-heart disease, various cancers, diabetes, Parkinson's, high blood pressure, and more-and explains how nutritional and lifestyle interventions can sometimes trump prescription pills and other pharmaceutical and surgical approaches, freeing us to live healthier lives. The simple truth is that most doctors are good at treating acute illnesses but bad at preventing chronic disease. The fifteen leading causes of death claim the lives of 1.6 million Americans annually. This doesn't have to be the case. By following Dr. Greger's advice, all of it backed up by strong scientific evidence, you will learn which foods to eat and which lifestyle changes to make to live longer. History of prostate cancer in your family? Put down that glass of milk and add flaxseed to your diet whenever you can. Have high blood pressure? Hibiscus tea can work better than a leading hypertensive drug-and without the side effects. Fighting off liver disease? Drinking coffee can reduce liver inflammation. Battling breast cancer? Consuming soy is associated with prolonged survival. Worried about heart disease (the number 1 killer in the United States)? Switch to a whole-food, plant-based diet, which has been repeatedly shown not just to prevent the disease but often stop it in its tracks. 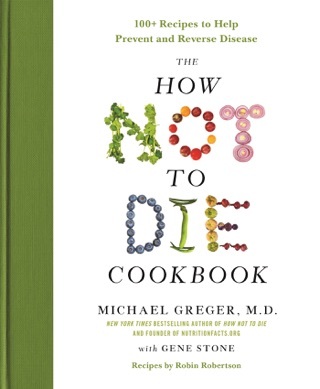 In addition to showing what to eat to help treat the top fifteen causes of death, How Not to Die includes Dr. Greger's Daily Dozen -a checklist of the twelve foods we should consume every day.Full of practical, actionable advice and surprising, cutting edge nutritional science, these doctor's orders are just what we need to live longer, healthier lives. Physician Greger tackles 15 major diseases (including cancer, diabetes, and heart disease) one by one, presenting a wealth of research to shore up his assertion that most of these ailments can be prevented by diet and lifestyle choices. Readers familiar with Greger's website, NutritionFacts.org, won't be surprised by his claim that nutrition is the key. Beginning with heart disease, the number-one killer in the U.S., Greger, an avid proponent of a whole-food, plant-based diet, runs through the statistics to demonstrate the importance of food choices. He points out, for instance, that in rural China and Africa, where heart disease rates are low, a plant-based diet is the norm, but in the U.S., where fatty meats and junk foods are staples even in childhood, atherosclerosis sets in early on. Along with discouraging observations about "the Standard American Diet," Greger serves up practical dietary suggestions. He urges readers to take charge of their health, and faults the medical profession for neglecting the significance of nutrition. This evidence-based guide unpacks information useful to carnivores, vegetarians, and vegans alike, making a strong case for the healing power of food. Must read for those whose are researching a Whole Foods Plant Based diet. Dr. Greger gives all the available science, to-date, and allows one to make their own conclusions. I especially like the second section where Dr. Greger provides insight as to what he eats. I would also recommend the audio version (only found currently on Audible) of this book as a suppliment. There is so much information that I have to re-read (an re-listen) to absorb it all. This guy is my goto for all things nutrition. A wealth of knowledge, and his book will tell you how to live a long, healthy, and amazing life! Excellent book which uses science to underscore the importance of diet.